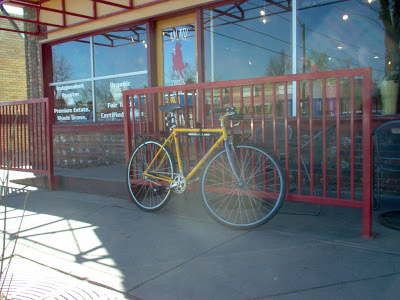 Found this 1988 Rockhopper fixed gear mtb with 700c wheels and a centerpull brake on Bike4More, a Cali, Bike Commuter Blog. The bike belongs to Jon Grinder. Did they ever make a 700c Rockhopper frame? Or did the guy just shoe-horn them in?